Yomega announced a new skill toy being added to their line during the 2015 International Toy Fair in New York City…Monkey Knuckles! Monkey Knuckles are a ball & string toy, slightly similar to AstroJax. Invented and developed by Matthew Hiebert, I remember seeing early prototypes of these during the end of my time working for Duncan, when I first met Matthew. He was still in the early stages of developing the toy and was looking for a licensing and manufacturing partner…looks like he has found one in Yomega! Monkey Knuckles will retail for $14.99, and will hit stores by April 1st, 2015. Fun fact: I created this yoyo trick based on a Monkey Knuckles trick that Matthew taught me years ago. 44RPM Toys, the brainchild of 2014 Trick Innovator of the Year Drew Tetz and World Champion Hank Freeman, is finally launching! 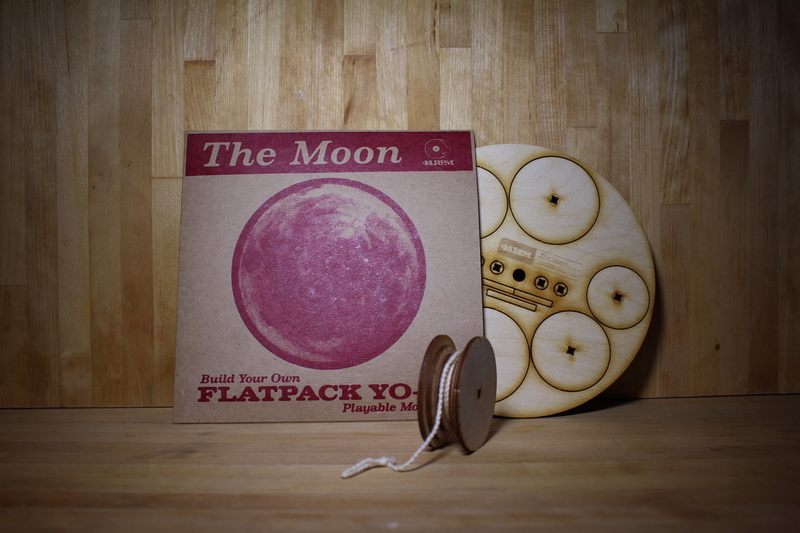 Their first two releases, a flatpack yoyo called “The Moon” and an amazing flatpack kendama, will be available Tuesday, December 9th at 8:30 PM EST, at 44RPMToys.com. 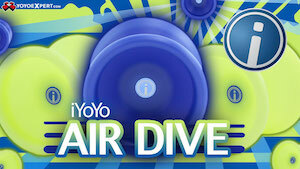 The kendama retails for $25, and the yoyo retails for only $7. 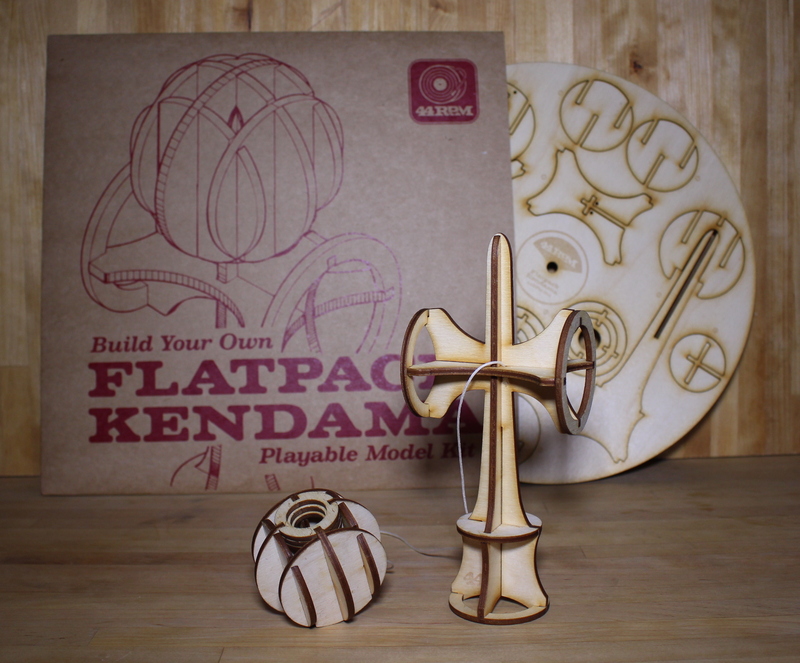 Flatpack toys are a pretty amazing concept…the pieces are laser cut out of a single piece of wood, and shipped flat. Then you pop them out and assemble them, like a 3D puzzle that ends up being a functional skill toy. Crazy! Be sure to follow 44RPM on Instagram, Facebook, and Twitter for updates. CLYW has dropped pics of their soon-to-be-released kendama, and it’s a beauty! Our team just loves kendama so much, so I figured I would get some made with our logo on them for fun. These are your pretty standard, run-of-the-mill slick paint and beechwood kens. I don’t want to reinvent the wheel in a different skilltoy genre, I just don’t know enough about it yet. I am still learning! I do play kendama everyday ever since I got one, though. But maybe in the future we’ll play around with some fancy coatings…I would really like to collab with an existing kendama company. That would be a blast! CLYW only had a handful of these made…no word on release date or price yet, but they’ll most likely be available direct from the CLYW store and possibly a few at YoYoExpert. 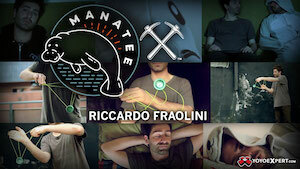 A great side project from one of our favorite companies! The folks over at Sweets Kendama are releasing a very small quantity of these VooDama Dolls…a handmade cross between a kendama and a voodoo doll. With the success of the Pill, I think we’re going to see a bit more experimenting from kendama manufacturers with different shapes and concepts like this. Granted the kendama is a perfect toy, refined after some 300+ years of existence….that that doesn’t mean it can’t still use a little tweaking now and again. No word yet on release date or price, but keep an eye on the Sweets Kendamas site for more details. Kendama player David Gault shows off some remarkably clean tricks and some absolutely beautiful locations in his new kendama video. Beautiful! 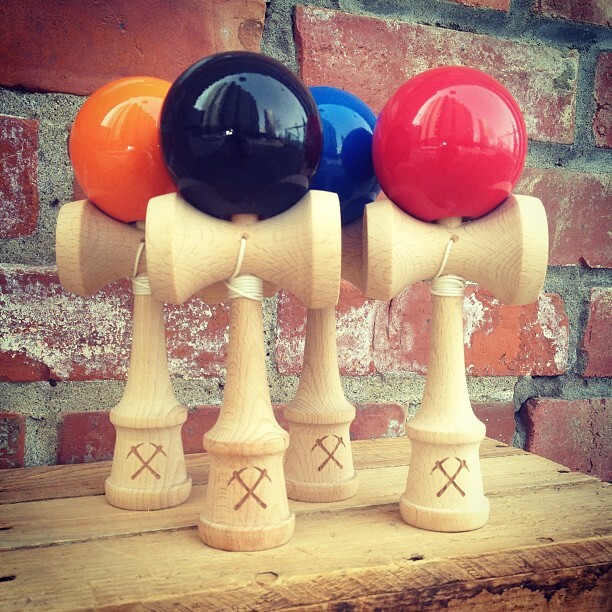 Terra Kendama has opened a limited number of The Pill for pre-order on their website. Pre-orders will begin shipping on December 28th, and you can preorder the Natural Beechwood, Blue Beechwood, and Cherry Wood.